The twin 12 station turrets provide high speed indexing of 0.2 second from station to station. 1 step indexing delivers increased cycle times. Live turret options enable the use of 6 live tool positions on each turret. C3 class hardened and precision ground ball screws ensure the highest accuracy Numerous configurations are available to include twin spindle with twin standard turrets, twin spindles with one live and one standard turret, twin spindles with twin live turret, twin Y axis (GTS200 series only) and C axis for 1° indexing spindles. 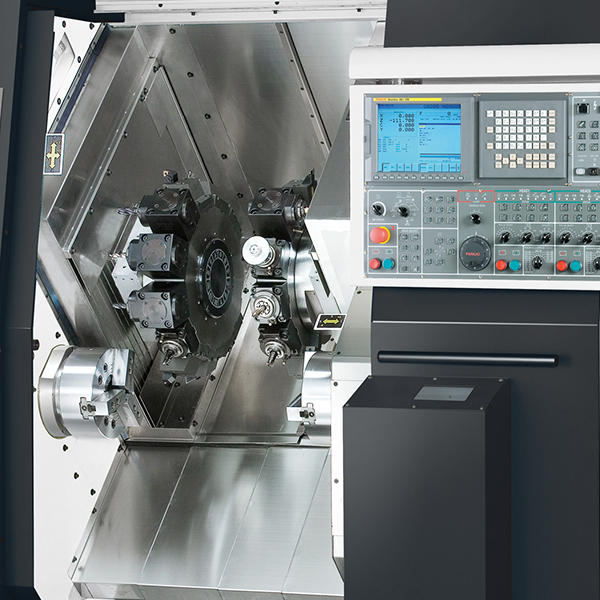 The GTS series offer simultaneous turning on both spindles. 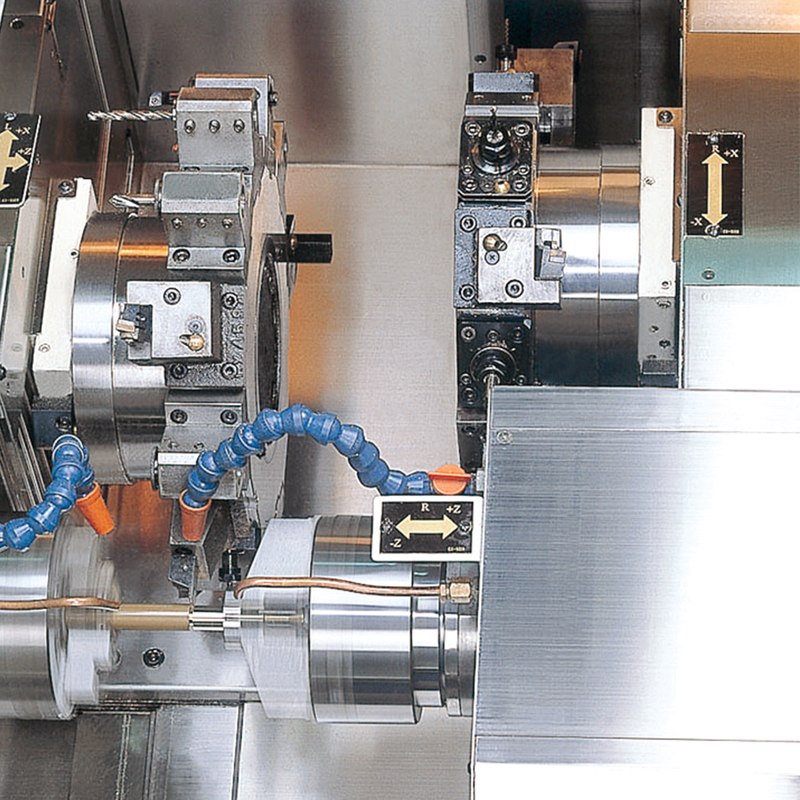 The second spindle may be used to support longer work pieces during turning with the spindle synchronise rpm feature. This feature is also used when parting bar work. 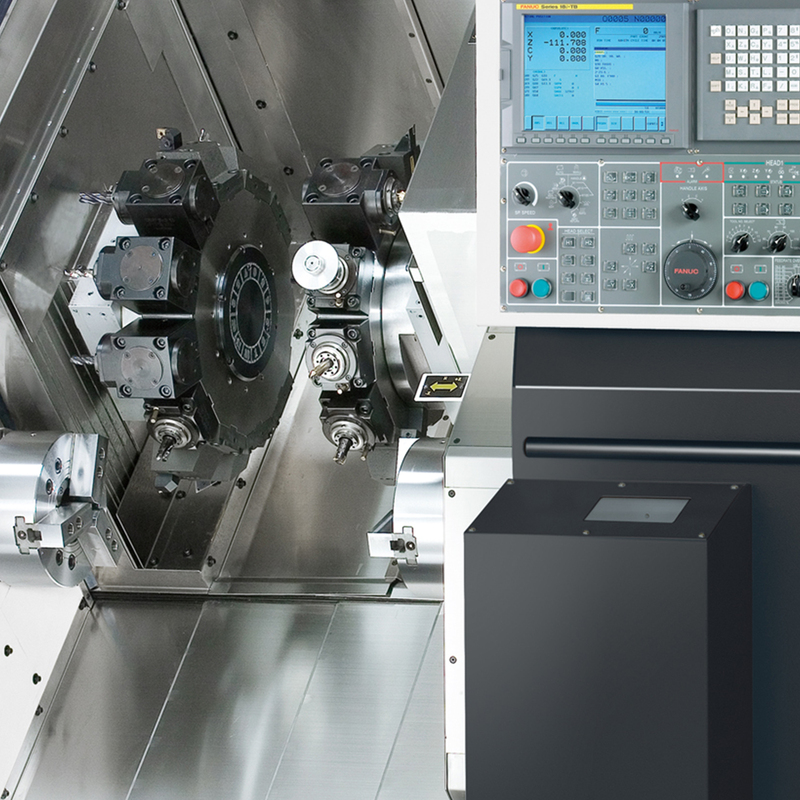 When the GTS series has been specified with full C axis and live tooling, the machines are able to perform the following functions: OD and face milling, OD and off centre face drilling. Fanuc Alpha Pi series wide range spindle motors power both spindles and can be programmed for synchronised turning. 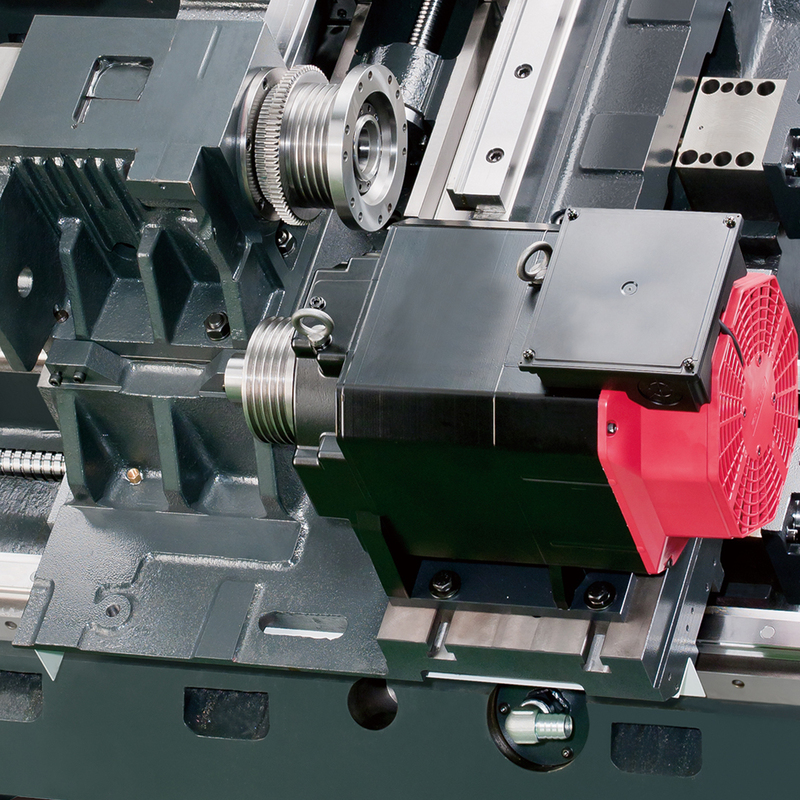 The wide range constant output spindle motors provide full power cutting throughout most of the spindle speed range. 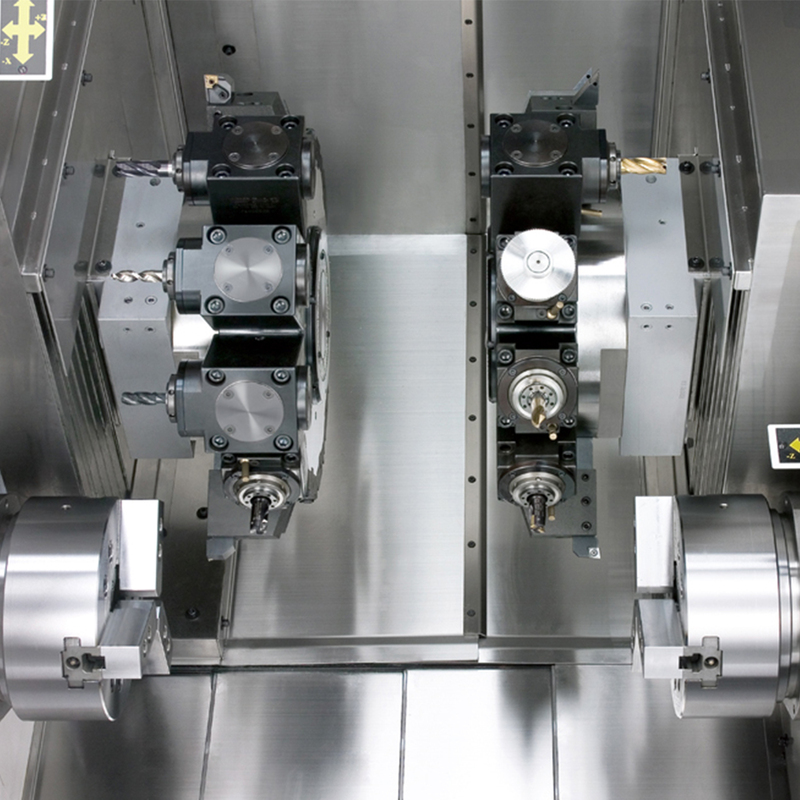 Fanuc Alpha Pi type motors also have faster acceleration and deceleration to reduce cycle times. Torque ratings on these motors are twice the output of standard Alpha i series motors. .